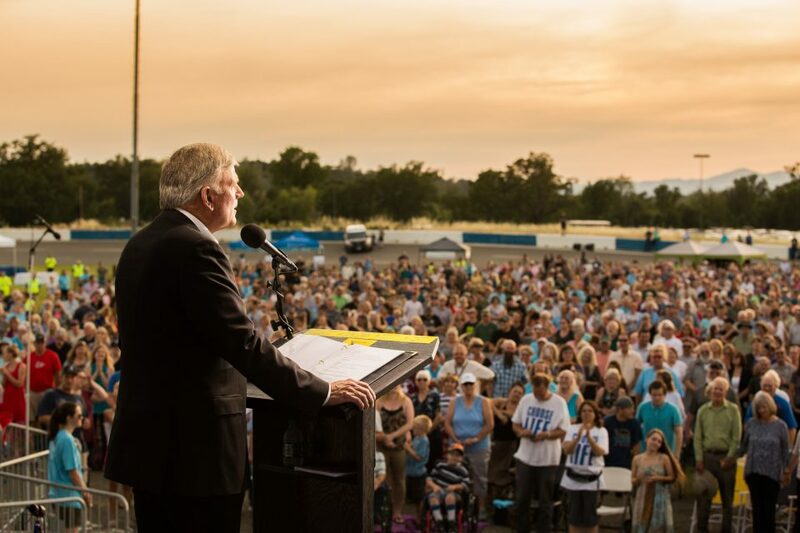 A man loving on God as the sun starts to set in Redding during Franklin Graham’s 10th and final stop of the Decision America Tour in California. 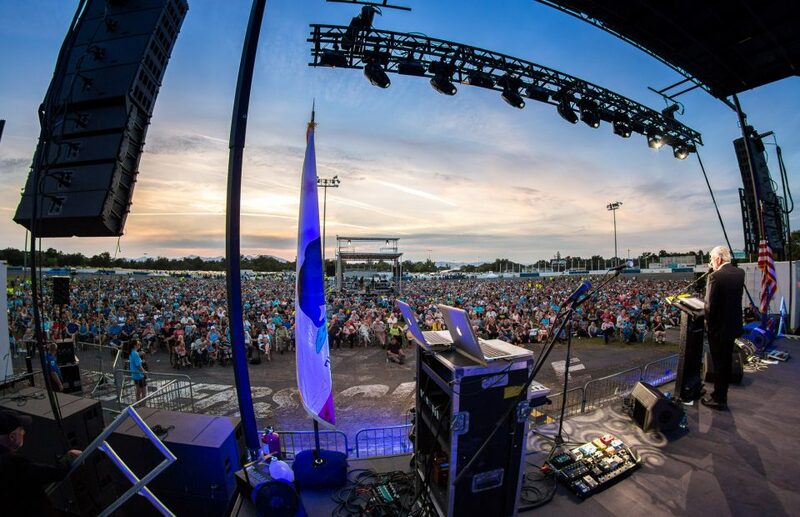 Throughout the tour, Franklin Graham has emphasized the need for Christians to get involved in politics through voting and running for office, all in an effort to bring godliness to the political landscape. 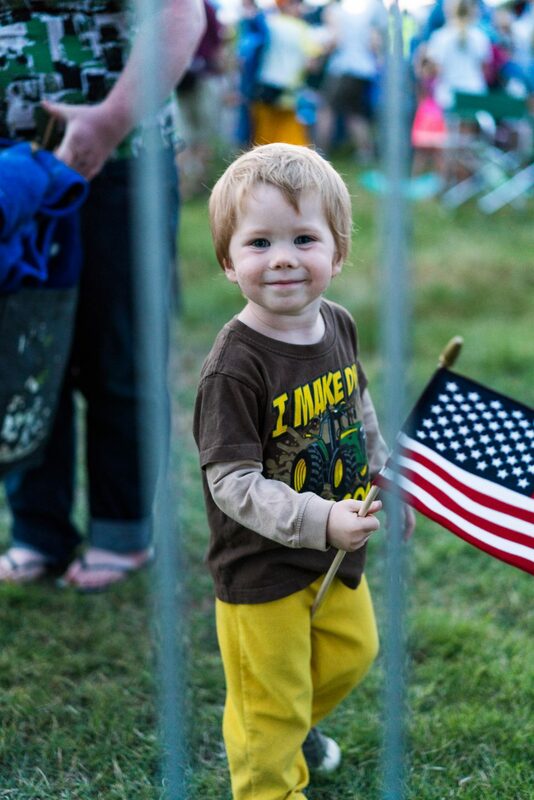 Multiple families said the tour has renewed their hope for California's future. 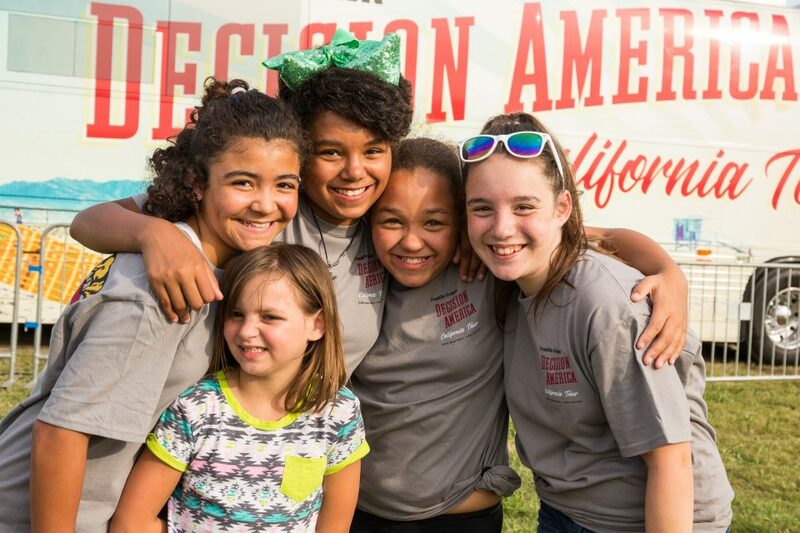 The Decision America Tour picks up in Oregon and Washington this August. Learn more. 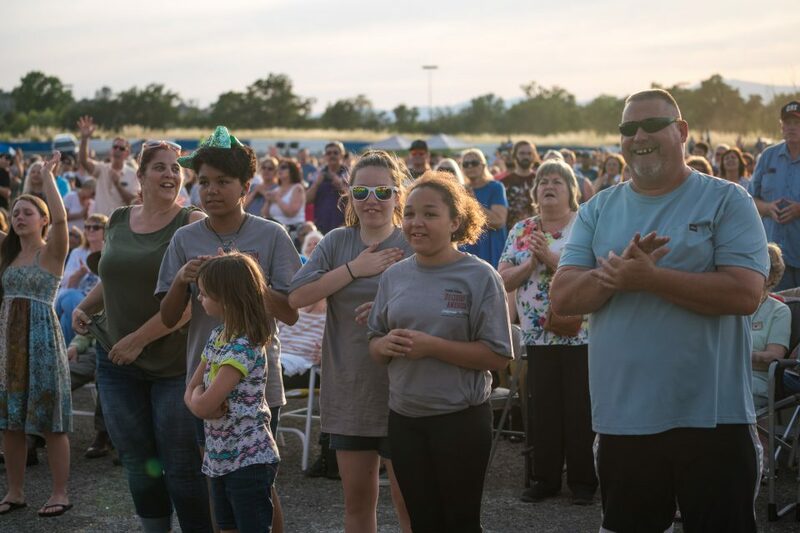 Many youth around the Redding area were unashamed to display their faith in Christ. 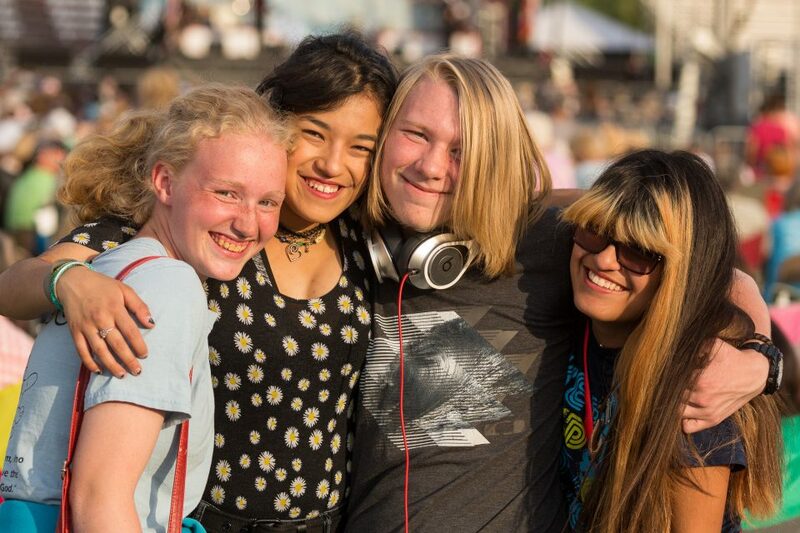 A volunteer showed pure joy in helping another learn about Jesus Christ. 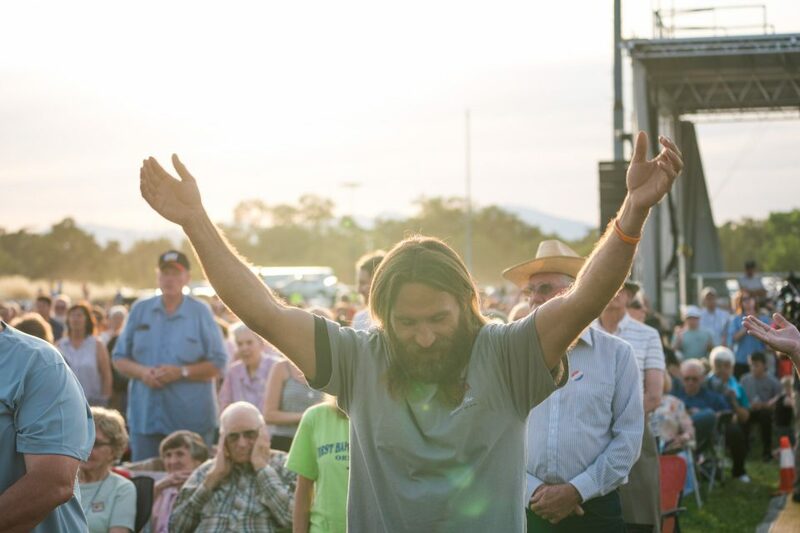 Happy to be among the thousands gathered to witness God at work in their state. Debbie Noel of Fall River Mills said Jesus is the only hope for this deteriorating country, and Christians have a responsibility to tell others about Him. “We just need to pull together and bring God back. He needs to be part of every decision.” That includes the decision to raise the next generation in a Christlike way. 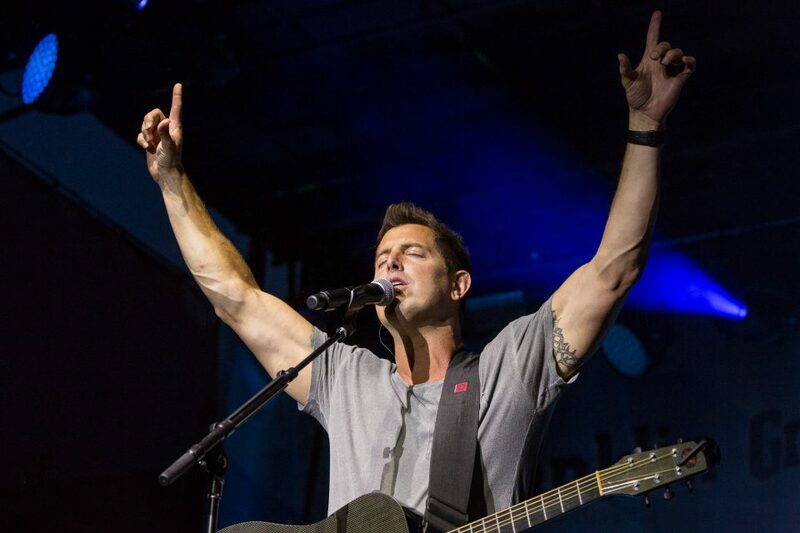 “We need to be a sweet-smelling aroma,” Jeremy Camp told Christ followers in the crowd. He urged them to be a positive example to those around them and not be afraid to claim Christ as their own. 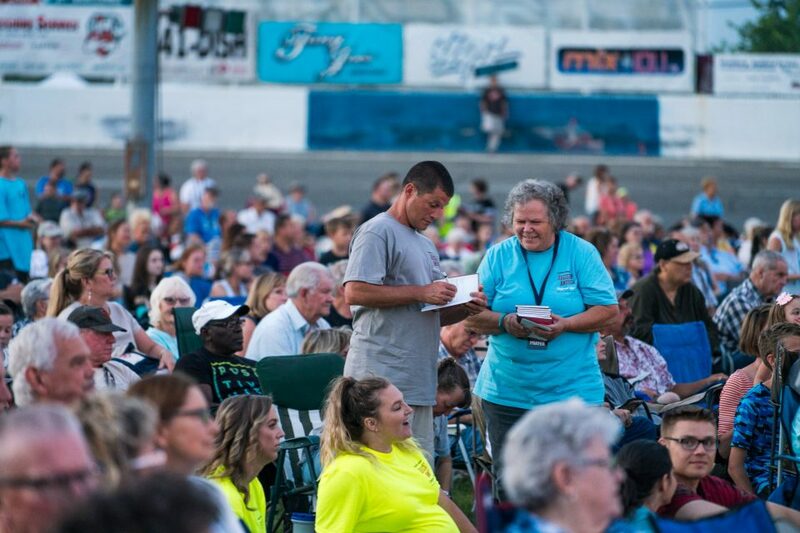 Rod Bowen was encouraged by how many stood at the end of the night to accept Christ into their lives after Franklin Graham shared God's plan to save His people. 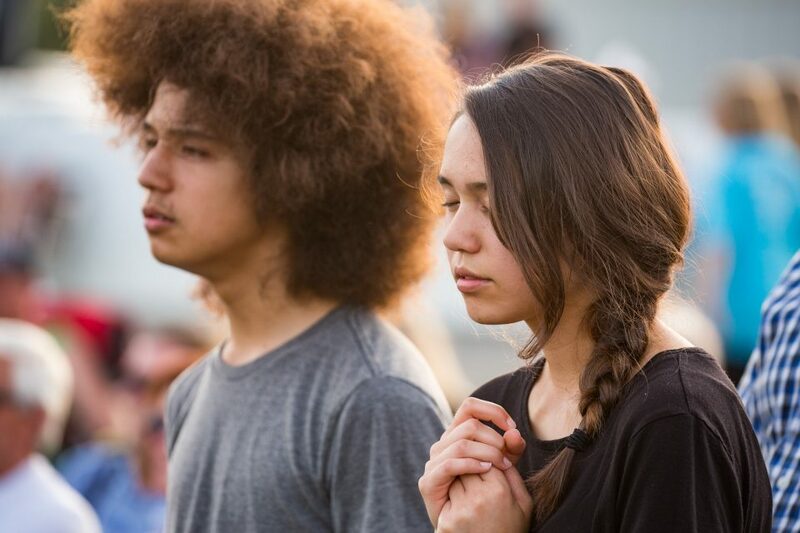 Revival can move through this nation as the youth proclaim Christ. 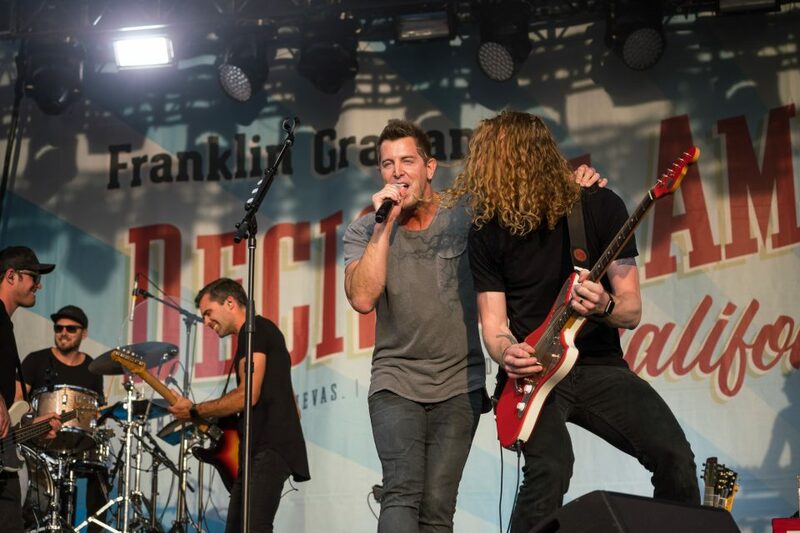 Between songs, Jeremy Camp spoke directly to a 9-year-old named Ruby standing up front. She had been singing her heart out to his song, “Christ in Me.” “I want you to know that God sees you and He loves you and He’s got a plan for you,” he told her. 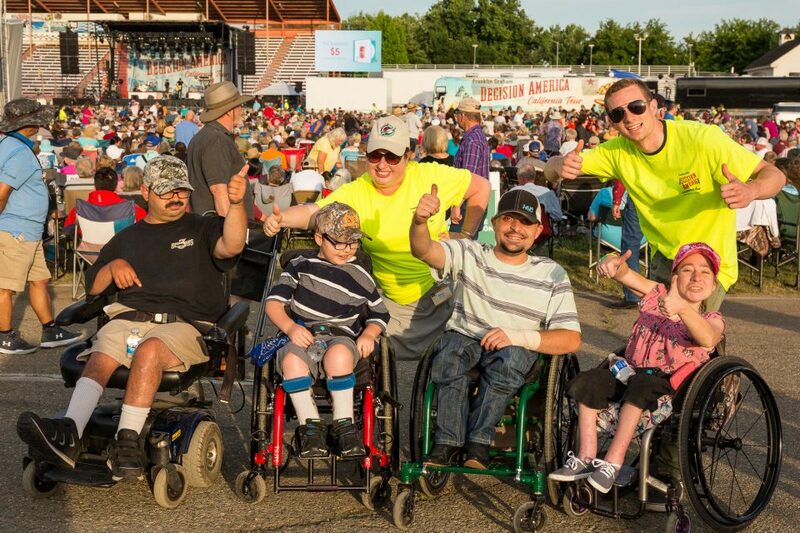 God also has a plan for all in the crowd, Jeremy Camp added. 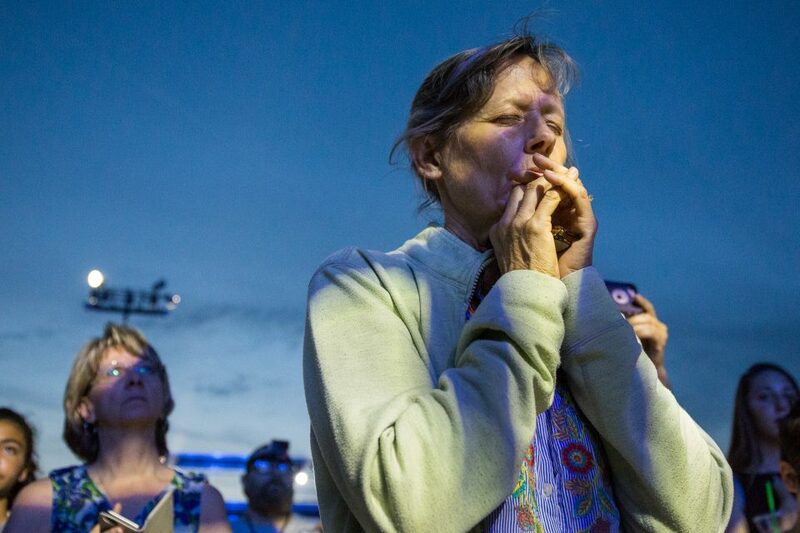 "Such a strong anointing in this place,” a volunteer mentioned as she watched the crowd standing up for Christ.